Getting your day to day tasks done usually requires many web tools. At RealPhoneValidation we use an email app, CRM, group communication tool, marketing automation app, cloud storage site, and project management tools just to name a few. We realize sometimes, it’s a struggle to get them all working together. 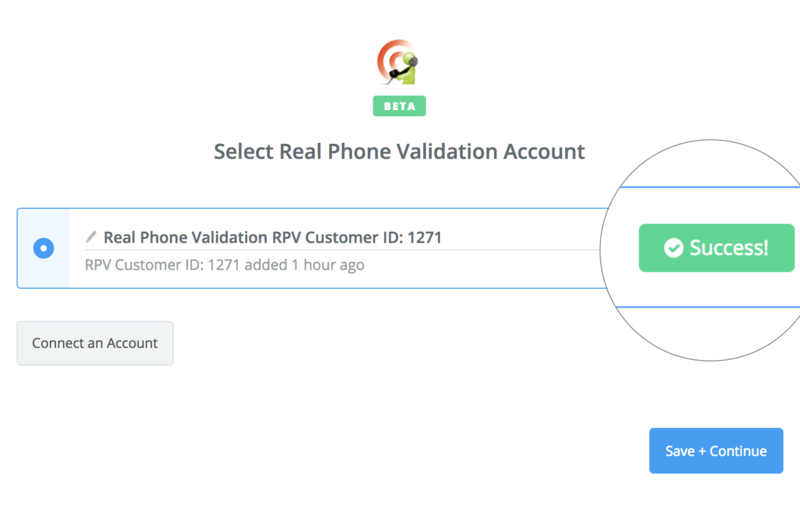 Now with over 1,000 integrations available, just choose your preferred tools and simply integrate them with RealPhoneValidation via Zapier. Through Zapier you are able to create your own code free integrations called “Zaps”. A Zap automatically sends data from one api to another, which means you spend less time transferring data manually between your businesses web tools. Setting up automations boosts your productivity – freeing you up from the day-to-day stuff to focus more on big picture, take your business to the next level stuff. 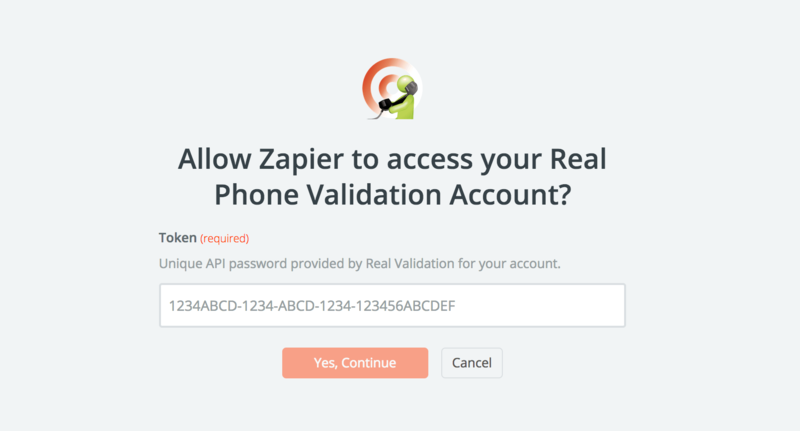 Now you can connect RealPhoneValidation to 1,000+ web tools using Zapier, a very cool workflow automation tool. 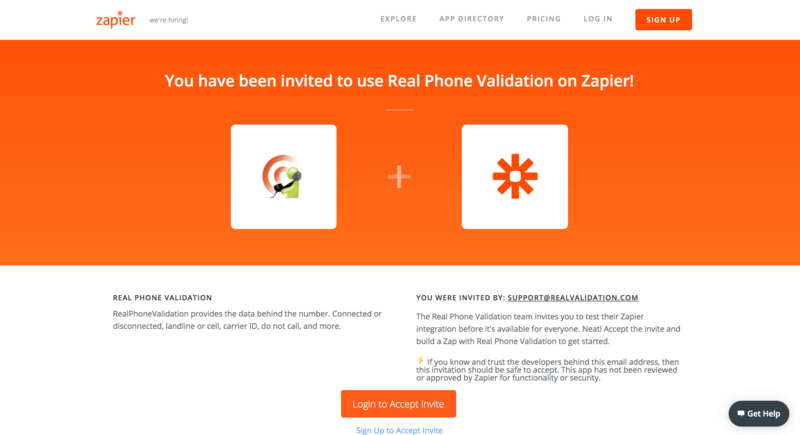 To get started using RealPhoneValidation on Zapier click here to receive an invitation. If you already have an account select “Login to Accept Invite” if not select “Sign Up to Accept Invite”. 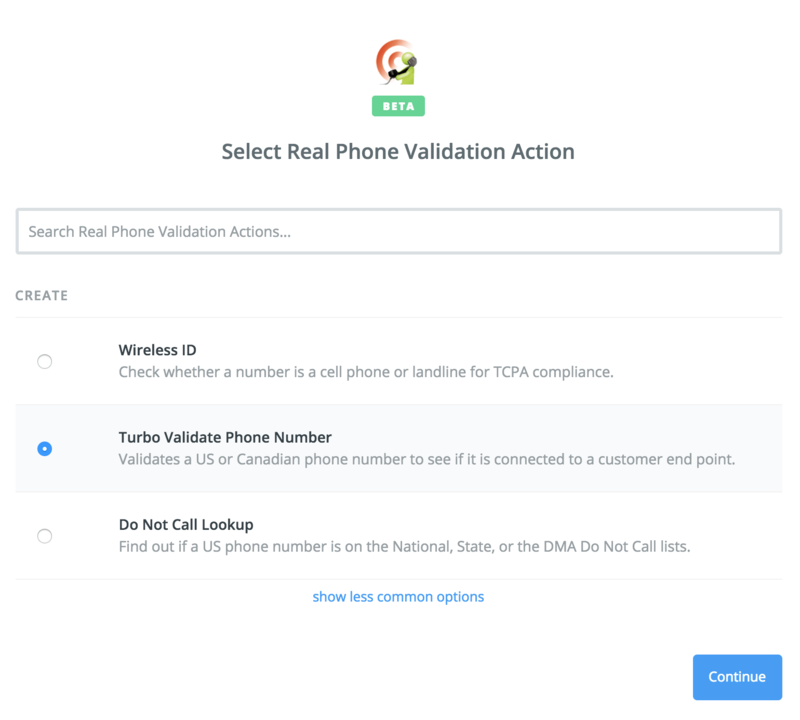 You can create a Real Phone Validation zap for phone number validation, do not call lookups, or to identify if a number is a landline or cell. 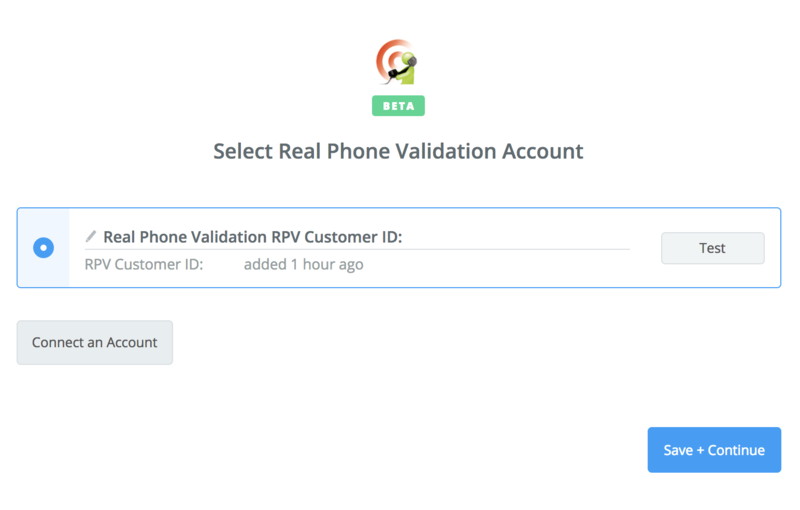 You will need to connect your RealPhoneValidation account. 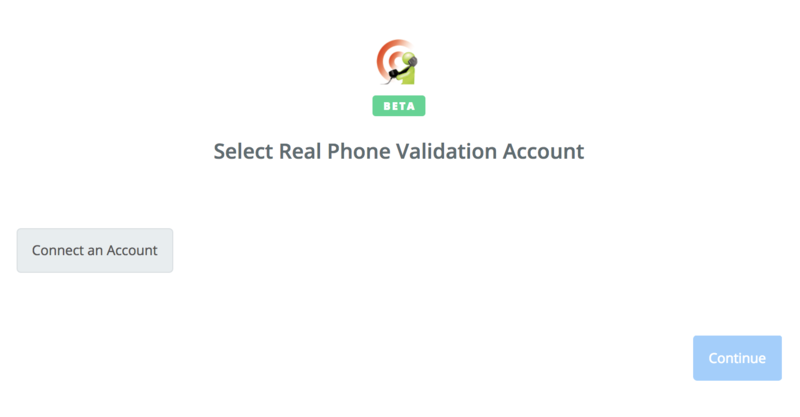 Your API token is located in your my.realvalidation.com account. If you don’t have a RealPhoneValidation account start one here. After you add your API token click the test button to make sure you have a connection. Once you have successfully connected your account you are ready to create zaps.